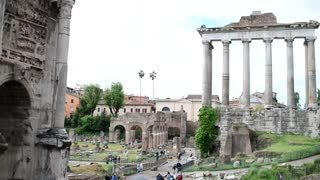 Young pretty woman- tourist moving down the stairs in the ancient centre of Rome, Italy to Roman Forum. 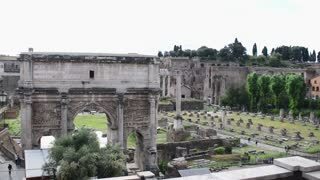 Woman tourist in black coat is walking across the bridge in Roman Forum. 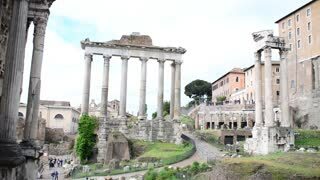 Girl excited about ancient city of Rome, Italy. 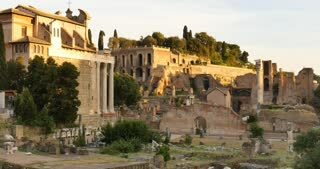 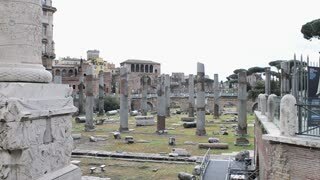 Roman Forum surrounded by ruins of several ancient government buildings at the center of the city of Rome, Italy. 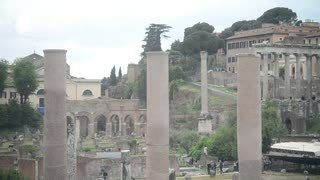 Girl walking around Rome, Italy, seeing over antique and beautiful city. 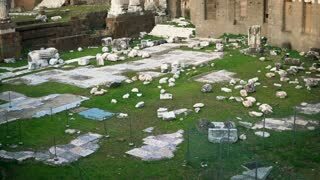 Woman exploring ancient ruins of Roman Forum.